Nato Thompson likes to play a game. When he, his wife and his mother are in the room of an art museum, they sometimes pretend like the building is on fire. Each of them has to choose an artwork to save, and later they have to explain why. 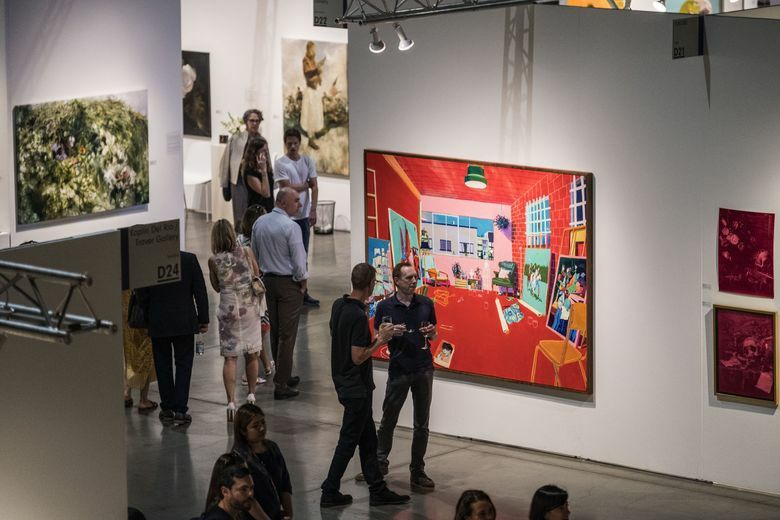 Thompson is the artistic director for this year’s Seattle Art Fair, running Aug. 2-5 — a massive, Paul Allen-funded extravaganza in its fourth year at CenturyLink Field Event Center. It now attracts tens of thousands of people from around the world and sets the Seattle arts scene ablaze with gossip, speculation and satellite events. But Thompson suggests you not think about it too much — just play the “fire” game. But rest assured, there will be a lot going on, even if nobody can keep track: Over 100 gallery owners and maybe more people than you can pack into a professional sports stadium. Some of those attendees will be wearing enough pearls around their necks to pay off a modest mortgage. Some will be wearing thrift-store shirts and flip-flops. Huge sums of money will slosh around that most of us can’t even detect. 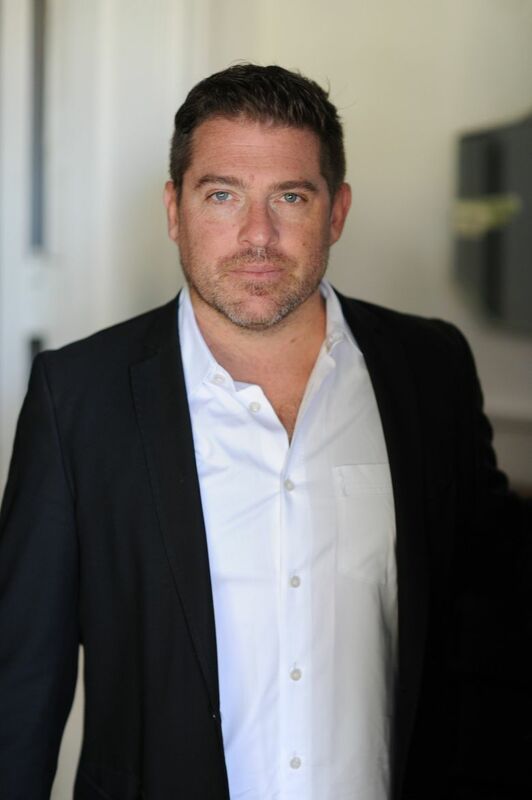 (One conversation at an art fair, several gallerists said — maybe even with a newly minted millionaire in flip-flops — can lead to a windfall purchase months later.) Some works at the fair will sell for hundreds of dollars; some for millions; some won’t sell at all. Seattle Art Fair is a crazy quilt of expectations. Artists hound their gallerists to show them. Gallerists are hungry to get in and flash their wares in front of Manhattan- and Tokyo-rich eyeballs. Then there are the lectures, the satellite events (courtesy of artists like Clyde Petersen and Tariqa Waters), the giant robots (courtesy of Survival Research Labs), giant puppets (courtesy of one of the designers for the “Pee-wee’s Playhouse” franchise) and much, much more. Can we go over the basics? 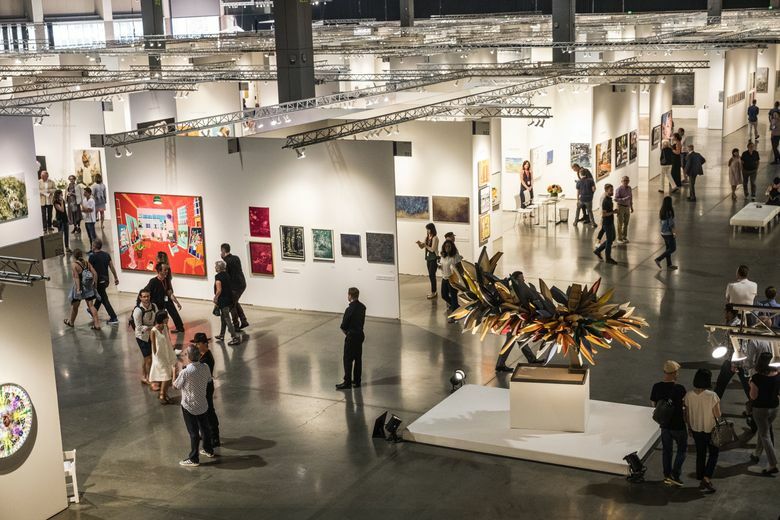 Seattle Art Fair was founded by Paul Allen and his umbrella company Vulcan (which has its tentacles in everything from real-estate speculation to medical research) in 2015. Why should I care? People can’t shut up about it. Big-money people, scrappy young artists, seemingly everybody in between. Last weekend, I was standing on a loading dock in Rainier Beach where a lot of folks (artists, musicians, city employees, men, women) were furiously smoking and gossiping outside a wedding. They all wanted to talk about Seattle Art Fair. Why? Seattle Art Fair is huge. Conceptually and economically, it’s a strong steroid shot to Seattle’s cultural community. Greg Lundgren, an artist/business owner and the renegade curator of Out of Sight (a now-defunct satellite fair — we’ll get to that in a second) put it most succinctly: “I don’t think this is the exact prescription for what Seattle needs, but I would never wish the art fair to go away.” People fly into Seattle from all over the globe in August to look at art. Everyone wants the hot new collector from Paris or Mexico City to fall in love with their work, they want to meet new people, and they want an aesthetic/intellectual boost by looking at art by people they’ve never seen before. Right — the robots from Survival Research Labs? They’re those fire-breathing metal monsters people were all excited about in the Bay Area years back? Seattle is a tech city, Thompson said, and tech these days “is so clean, so user-friendly. This stuff is grindy and gear-laden and underground. It’s from back when there was an aggressive subculture — it wasn’t an art thing.” Maybe Pauline and Thompson can call our local analog hackers at HazardFactory (progenitors of the “Power Tool Drag Race” and “Smash Putt”) for a meeting of the minds. What else should I know? Lots. Artist Tariqa Waters will be hosting a show at her gallery Martyr Sauce in Pioneer Square featuring her teenage daughter’s filmed choreography. Clyde Petersen and Darius X (both transgender artists and musicians) will have a nearby show at Cold Cube Press called “Shredders: Hot licks, solid bodies, and hard wood.” It is, Petersen said, a collection of made-up instruments that attempt to “make a feminist version of Guitar Center.” Among the objects: a cardboard wolf-guitar that kills sexual predators in the music scene and a one-use-only xylophone that you’d have to burn while playing, while roasting its marshmallow mallets. And there will be much, much more. What about Out of Sight? That was a satellite, hyperlocal art fair organized by Greg Lundgren (an artist and impresario) for the past three years. “I’m not doing it this year,” he said. “It was proof of concept — that somebody could do it. But nobody else has stepped up to do it.” Last year, Out of Sight had a great show with art, BMX stunt-bike riders and a bar. But, he said, he’s approached potential funders and real-estate partners and couldn’t find the resources to make it happen. So … what should I do? Get a ticket to Seattle Art Fair. Or, if you’re feeling adventurous, just get yourself down to the general vicinity of Pioneer Square and embed yourself in the scene. See what’s exciting and follow your nose. Transactions will happen, romances will bloom, art will be seen, schemes will be hatched. And what will happen to you?